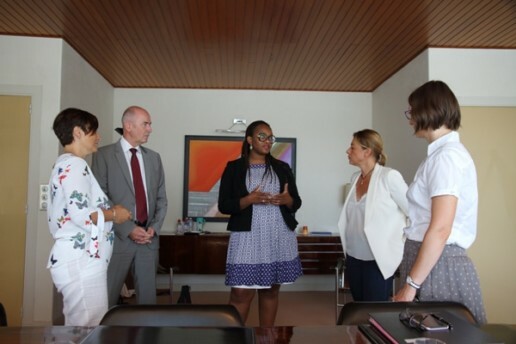 Via this partnership with Fondation de France, the FDDCF aims at promoting innovative actions focusing on the environnment or the education in Marseille area. This collaboration, signed for a three year period, allows the Compagnie Fruitière Endowment Fund to strengthen its environmental, educational and social actions around Marseille. Each year, the Endowment Fund wishes to support innovative projects selected from among those evaluated by the Fondation de France. The Fondation de France is the foundation of all causes. With almost 50 years of experience, the Fondation de France is the leading philanthropic network in France. It brings together founders, donors, expert volunteers, employees, and thousands of associations, all committed and willing to act. Thanks to its contributors located throughout France, in rural areas and in cities, it is in direct contact with local issues. In 2017, the Compagnie Fruitière Endowment Fund wanted to support a call for projects led by the Fondation de France on the theme of environmental protection. A panel worked on various proposals related to the following subject: Collective initiatives for the environment – When collective and civic territorial dynamics support the ecological transition. Signing of the partnership agreement in the presence of Cécile Malo, Delegate General of the Fondation de France in the Mediterranean region, and Marie-Pierre Fabre, President of the Compagnie Fruitière Endowment Fund.